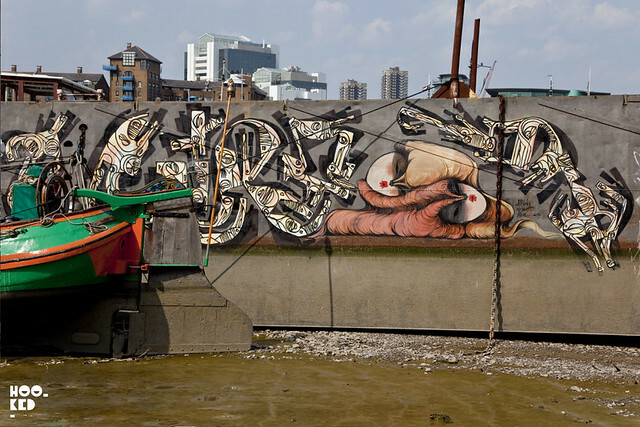 Miss Van, Ciro Schu, Alice Pasquini, Sheryo and The Yok and Bailon paint a boat at Tower Bridge! Hookedblog spent our afternoon on a boat in South London or to be more specific a barge, looking across the River Thames at Tower Bridge. As beautiful as Tower Bridge is on a lovely sunny day what was happening on the surface of the barge was far more interesting. 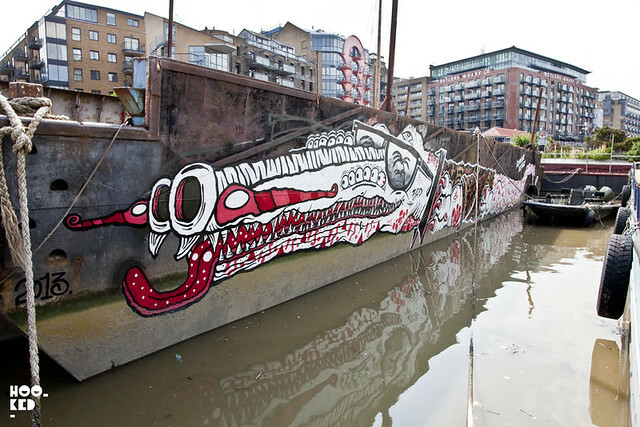 Newly launched Propa Stuff are the team responsible for the work going up on this river side barge. 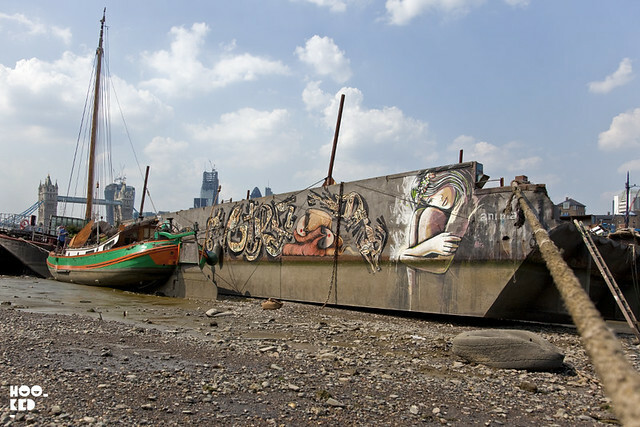 They have invited several international street artists to London to collaborate together on this unique floating canvas moored right next to the iconic Tower Bridge. 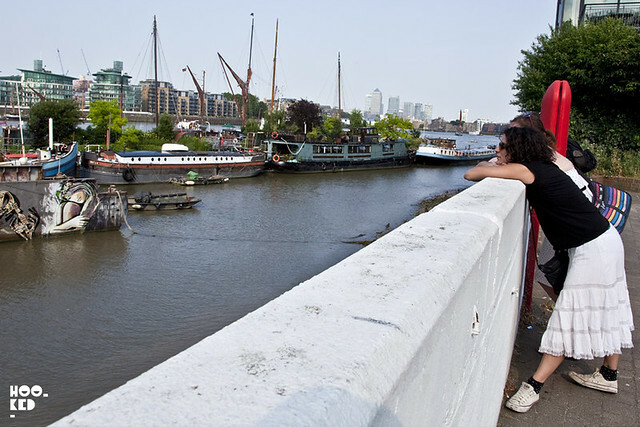 Miss Van, Ciro and Alice had already completed some fantastic work on one side of the barge when we got down to the location. 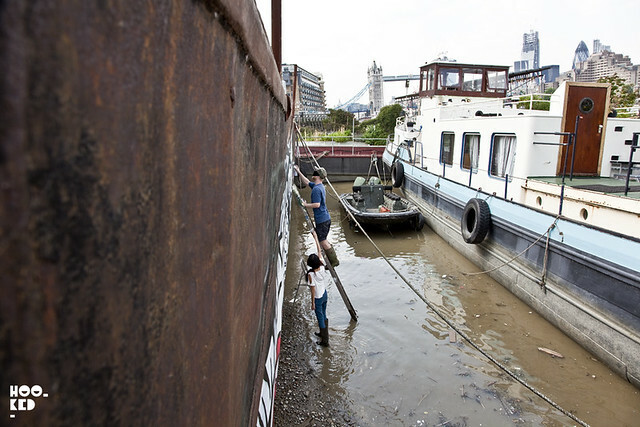 Today saw the second wave of artists invited by Propa Stuff don their wellington boots and begin to tackle the rest of the barge once the tide had dropped. 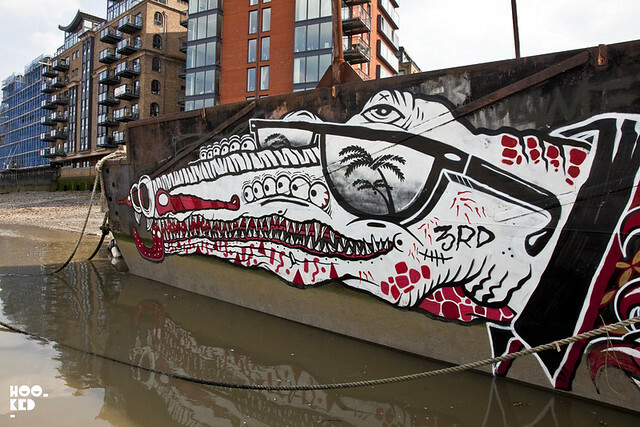 We caught up with São Paulo artist Bailon who has been making some noise around East London recently with his colourful wildlife inspired murals (covered here) along with the awesomely talented duo Sheryo and The Yok as they worked on decorating the other entire side of the barge with a crazy crocodile character chilling in his Hawaiian shirt and glasses. 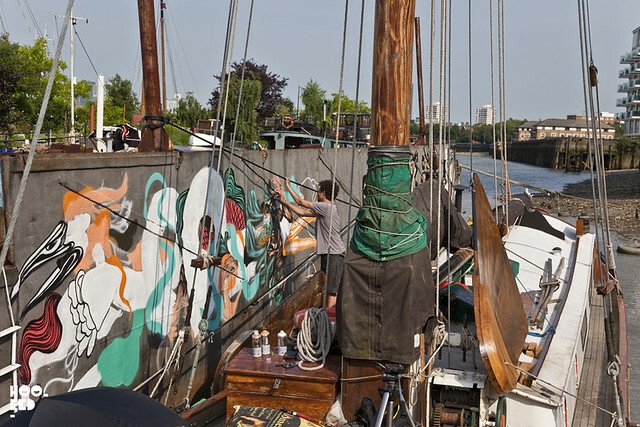 Bailon at work on his mural still some way to go before it is complete. 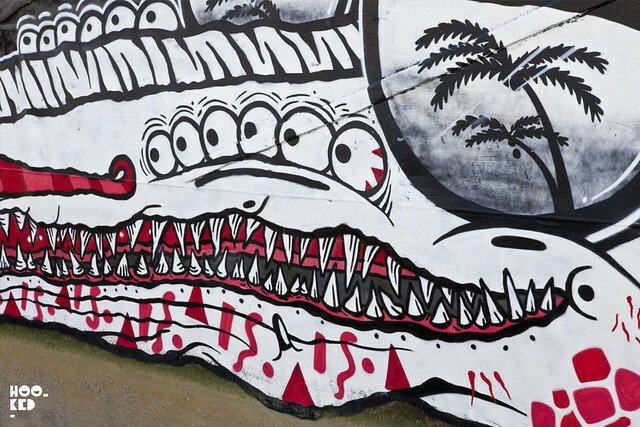 The Yok and Sheryo working against the fast rising tide on their Vacation Crocodilio! 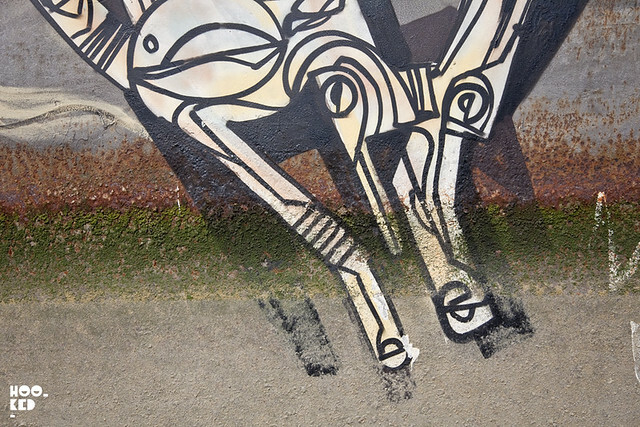 Super difficult to get a full shot of this piece as it's moored between boats. 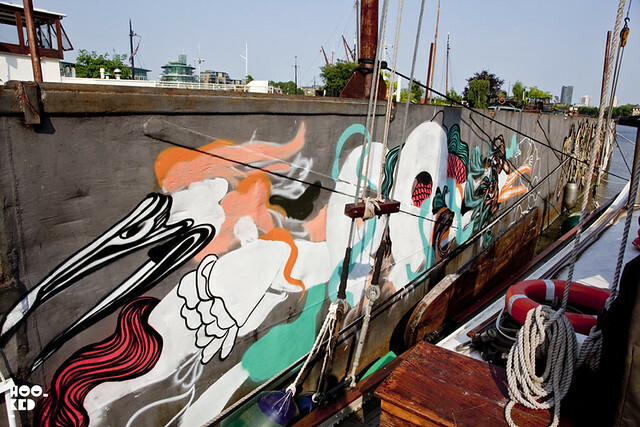 Italian artist Alice Pasquini also made a quick return visit before she heads back to Rome, to see her work and the other artists progress on the barge as the tides rose. If you want to go check the new murals in person, you can find it at Providence Square on Bermondsey West Wall - London - SE1 2AX .